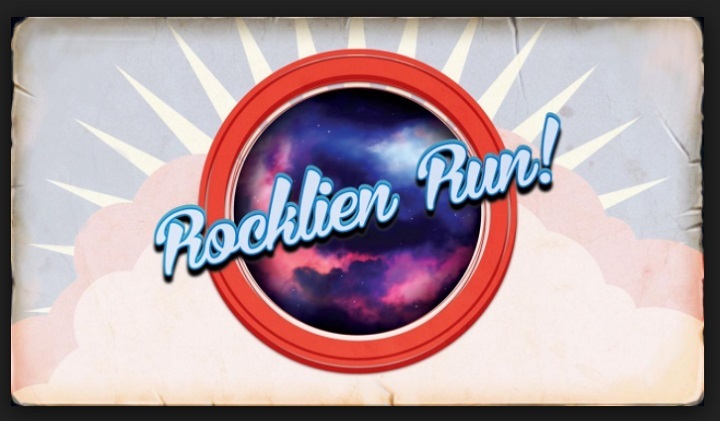 Rocklien Run from game developer Comicorp is an endless runner, but before you say “not again”, this game puts a fresh spin on the genre by adding elements of arcade into it. While the basic premise is the same as other endless runners – survive for as long as possible – this one is still enjoyable. Rocklien Run has you piloting a spaceship blazing through asteroids, and your goal is to avoid those giant rocks for as long as you can. The game’s controls are just as simple: your ship flies automatically and you tap left or right to steer the vehicle in that direction. You can also swipe left or right to do a barrel roll. By veering left or right and doing a barrel roll you’ll be able to avoid collisions. These maneuvers are also essential to grab those power-ups to give your speed or weapons a boost. Like other endless runners, the key to lasting is to develop a feel for the game. You’ll die a few times – maybe a lot – but you will eventually get that rhythm. Rocklien Run is not just about evading targets of course, as you’ll also want to take out as many obstacles out as possible. The longer you last the higher your score will go up. You can see how you’re doing in the leaderboard, plus you’ll be able to upgrade your ship. With the points and possibility of unlocking new ships, those are enough reasons to keep playing the game.